Here is a version of the review I posted of the Swansea Half Marathon on the RunnersWorld website last week. In short: Very good organisation and excellent race along the sea front. Very good indeed from the start. Regular emails regarding the race. The race-pack wasn’t up to much. I received an envelope with my race number and 4 safety pins. That’s it. Very different to what I’ve had from other half marathons. I don’t like to compare but a couple of .pdfs on the official website do not make a convenient race pack – especially if you do not have access to a printer. Certain roads into Swansea were closed at 7am so I got to the car park at around 6:30. It was empty. I went for a walk to the Runner’s Village – people were setting up, the sun was already out and the temperatures were beginning to rise. Everyone was in a good mood. Baggage storage was excellent with all kit stored at Swansea Leisure Centre. The race started on time at 8:30. I crossed the start line around 2 minutes after this. I wasn’t fussed on the singer who started us off but it was nice to have the Welsh Anthem (although a bit over the top). The run down to Mumbles was nice although some congestion at certain stages made it difficult to get past some runners. Still – it was lovely all the way up to Verdi’s at Knab Rock. From there it was a turn around and back along the coastal footpath with stunning views of the beach. Back through BlackPill, past Singleton park etc. The last 3 miles is where it all changed and frankly were awful and need changing for next year. I have completed a post event questionnaire and know I am not the only person to raise this. 3 miles of twists and turns around the SA1 area was nice but extremely boring – and very tough on the legs. It felt like it had been tacked on just to make up the mileage. Hopefully the organisers will see to sort this out next year – even taking runners further along the coast before turning around. There were plenty of people out during the start of the run with groups along the way cheering and calling names. Great idea having names on our numbers. To have someone calling your name gives you a boost. It was also great to see some of my school pupils out supporting their families. Plenty of people lined the way during the final mile with large crowds at the finishing line cheering as we crossed. All in all it was a lovely atmosphere at both the start and the end. Water stops were every three miles. I wouldn’t have minded one of those stops being a sports drink so that I could have a change from water. Also it might not be possible, but due to the weather some extra water stops could have been put in. At 10am in the morning the sun was beating down – making it very warm with several runners requiring first aid (not sure if it was the heat or injury). Apparently there were two gel stops. I only saw one. I had my own gels so didn’t take the Hi5 gels that were on offer – preferring instead to stick to the SiS ones I was carrying. I think I took enough. I only used 2. Took one at 60 mins and one at 90 mins. Plenty of toilets along the route for runners although I didn’t use them. Across the finishing line and along the path to get a bag (not much in there) and a medal. A nice medal but I was slightly disappointed (sorry) as there was no date on the medal. Considering this was the first time the event had been run then I think the organisers could have done something special for the first 2000 or so runners that supported the event. At the very least they should have put the date on there – on the back or the front. The t-shirt was good quality but I doubt I will wear it again. A running top like is given at Cardiff would be nice. Maybe if ASICS get involved next year again the organisers could look at getting them to supply the tops. The t-shirt just feels like an advertising board. Finally there was a results tent where runners could get a printout of their times. This was a handy service. Well done to the organisers. 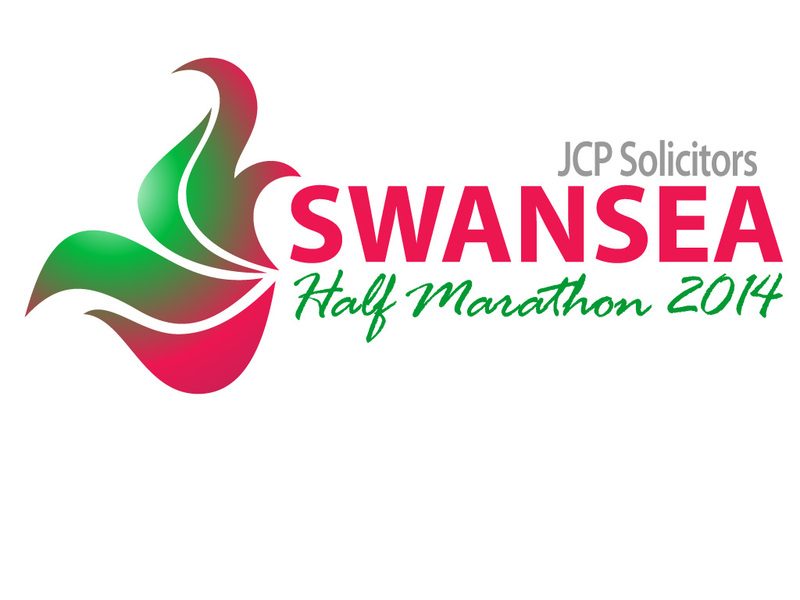 This is was the first Swansea Half Marathon. If it follows the success of the Swansea Bay 10K and the Cardiff Half Marathon then it will go from strength to strength and hopefully bring some quality runners to Swansea. The 2015 event has already been announced and runners will be able to register from 30th July. I think I’ll enter next year as well. A couple of changes to the route and they organisers have a winner on their hands. Well done – I’ll be entering next year. As it’s a local run for me I will tag it as one of my all-time favourites. So my results can be seen on my Strava Page. I’m happy to say that my chip time was a new PB with ~4 mins knocked off my Oulton Marathon time from February.